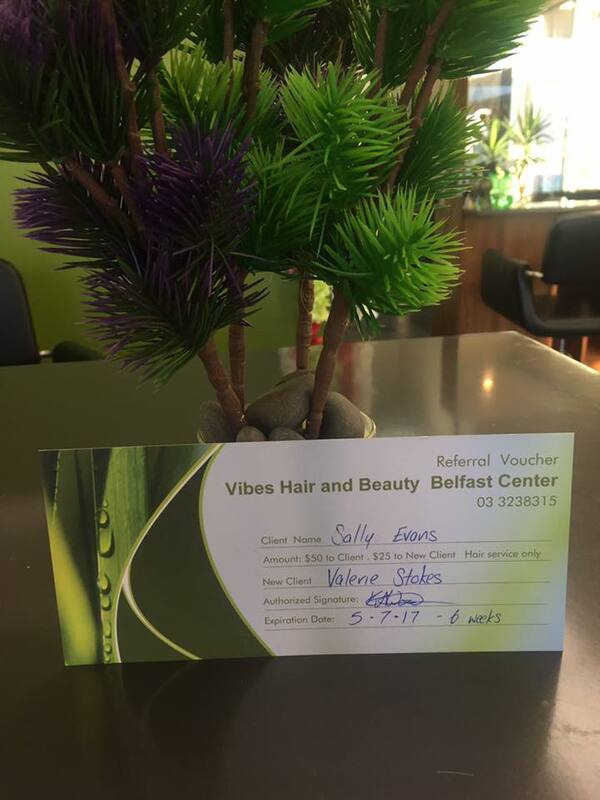 Referral Gift vouchers are a great gift for a relative or friend where you get a reward as well up to a cool $50... available to all Vibes clients and new client. Refer a friend or relative and save $$ offyour next service and your friend receives $25.00 off their service WOW!! available in salon please ask your Stylist and we will help you. We also have gift vouchers for Christmas to give friends and family made up to to any value you desire. These make a great birthday or Christmas Gift.